Join us for a day of educational seminars, vineyard-focus tastings, and more, with breakfast and lunch provided. Learn from winemakers, vineyard owners, wine educators and members of the wine media as they discuss grape growing, winemaking and pour their Anderson Valley Pinot Noirs! A full schedule will be announced soon. This year's BBQ will feature whole suckling roasted pig, pulled pork sandwiches, live music and tons of great Anderson Valley wine! Join us amidst the beautiful vineyards at Goldeneye Winery for a theatrical BBQ, music by Boonfire and Goldeneye's renowned Pinot Noirs, along with special bottles shared by the valley's winemakers. Bring a bottle to share! 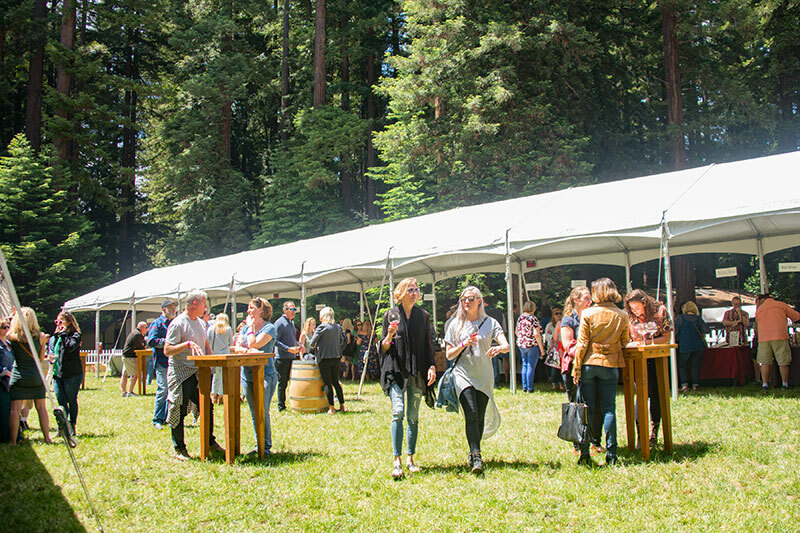 Sip, sample and savor Pinot Noirs and artisan small bites from more than 50 wineries and the area's best restaurants and caterers. 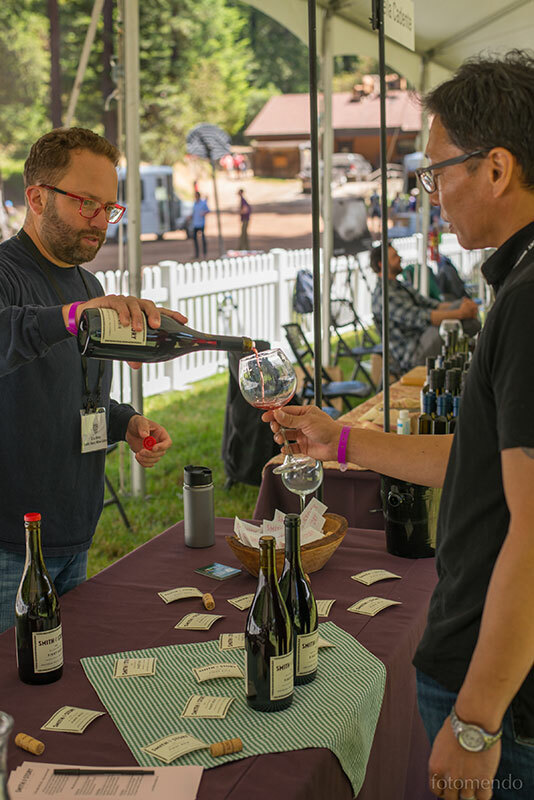 The 22nd annual event will showcase Anderson Valley Pinot Noir, Pinot Noir rose and sparkling wines, paired with wood-fired pizzas, local cheeses, local meats and seafoods, and vegetarian-friendly dishes. Take in the beauty of the white tents, set amidst towering redwoods, with spaces to sit by the river, enjoy live music, or even play a game of badminton! A live auction with curated lots will benefit the Anderson Valley Health Center, and local coffee and tea will be on offer throughout the tasting. The Saturday fun does not have to stop here! 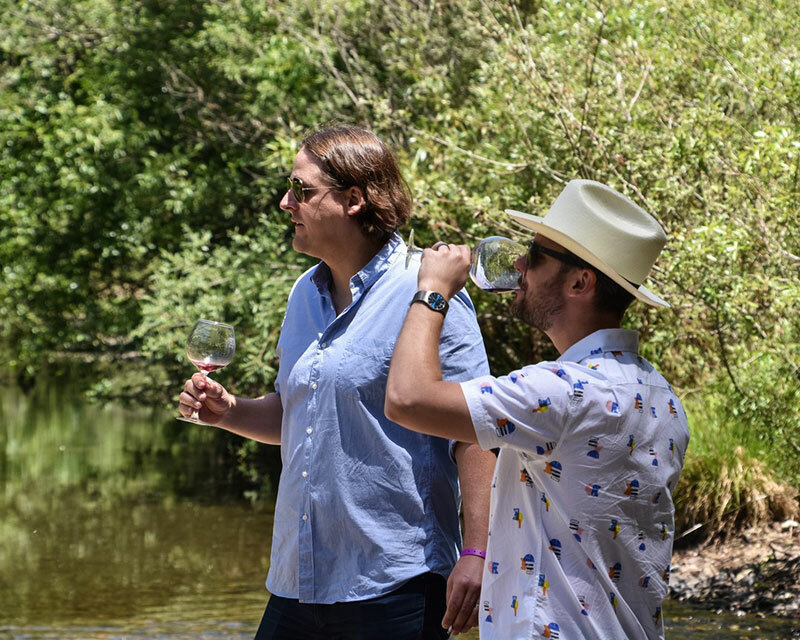 You can continue your Pinot journey Saturday evening to a Winemaker Dinner of your choice, or stay at Camp Navarro for a light meal and evening concert (additional tickets required). After the main event, choose to wine and dine with winemakers at one of three Winemaker Dinners. In honor of the Pinot Noir Festival, Executive Chef Matthew Kammerer will be highlighting the coastal cuisine of The Harbor House Inn, and the cool climate wines of Drew Winery. 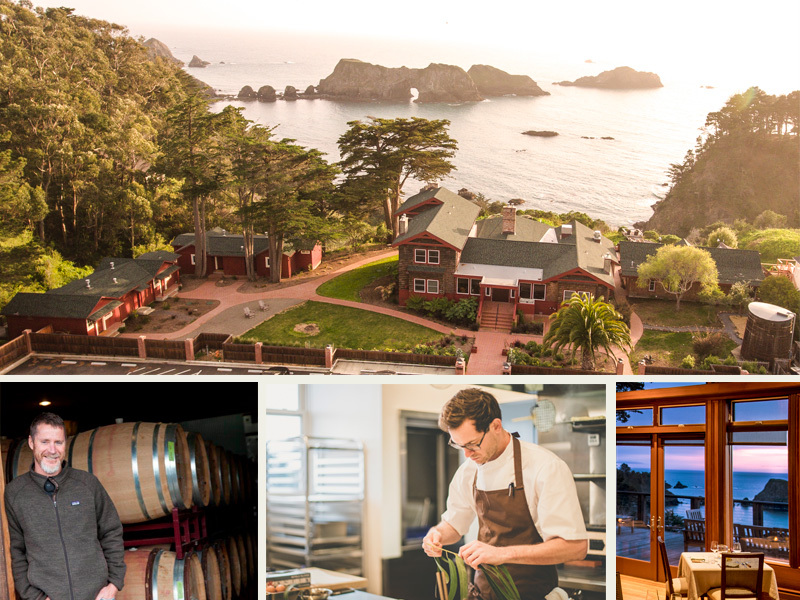 The menu will feature a 6-course tasting menu showcasing the bounty of the Mendocino Coast, paired with a variety of Drew wine. Ingredients at The Harbor House Inn are sourced within a 50-mile radius. “It’s one of the only places on the coast I’ve been that’s still raw,” Kammerer says. “It’s a wild place. It’s a place where nature shows you that it’s in charge.” Executive Chef Matthew Kammerer recently won a James Beard Award. For those that have booked lodging on the coast, this is a great option. The Harbor House Inn is a 30 minute drive from the Grand Tasting at Camp Navarro. Join the Winemakers of Long Meadow Ranch and Goldeneye Winery for an intimate Farm to Table Winemaker Dinner at The Apple Farm. Proprietor and Chef Karen Bates will be creating a seasonally inspired 4-course menu from the Apple Farm Kitchen paired with select Goldeneye and Long Meadow Ranch wines from Anderson Valley. Your favorite sparkling house is pairing up with some amazing Pinot Noir producers for an event in the Roederer Salon. Dine with the three winemakers and enjoy a wine pairing menu from Chef David LaMonica. LaMonica is original chef of Café Beaujolais, now with Salt & Stone. We are excited that he is returning to Anderson Valley! Menu includes Crispy Skin Duck Breast with Celeriac Puree and Duck Confit & Fava Bean Hash. Unique on-site accommodations include cabins, deluxe teepees, tent camping, and RV parking. Explore the beauty of the redwoods at night and enjoy brunch on Saturday and Sunday. 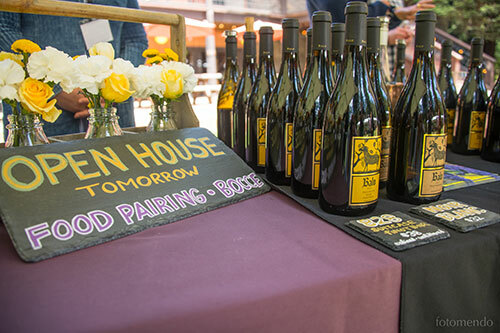 Meander along Highway 128 and stop at participating wineries for a little extra wine tasting, music, bites, and special winery promotions. Follow the purple flags. this is an adult wine event, per ABC rules. Good times are on the horizon!